Meenu is a determined and resourceful young girl who is the first girl in her family to go to school and is outstanding at math. 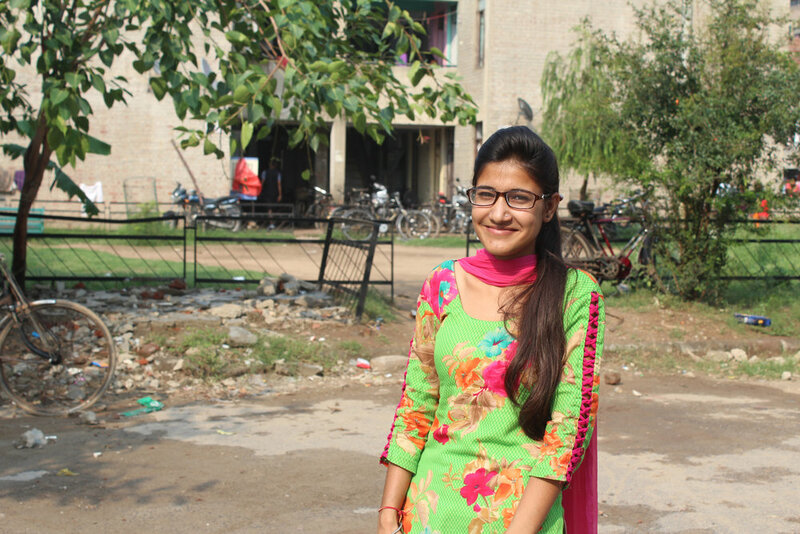 After high school, her brother objected to her studying further but she was able to convince him otherwise with the help of her Sikhya mentors. Although she really wanted to pursue commerce, it wasn’t an economically viable option for her parents because of the high tuition fees, so she compromised and settled for a bachelor’s in computer application. Meenu is the only girl child left in the family and is expected to do a majority of the housework. Even though her mother is supporting her until the end of college, her dad really wants her to get married. Meenu is willing to adapt her educational aspirations around the limits placed by her family by either working to pay for her tuition or at least continue her studies through correspondence.